Automated (smart) pool systems have become increasingly affordable over the years, making it easy for prospective pool owners who are interested in residential pools to install pools that they can manage in only a fraction of the time. As a result, more time can be spent enjoying the pool rather than managing it. Thanks to portable devices and Wi-Fi, you can now use a wide variety of smart pool products to manage your pool from anywhere using a smartphone or tablet, whether is it is a large lap pool or a plunge pool. Nearly every essential aspect of pool systems can now be automated. For instance, one of the aspects that have benefited from pool automation is the chlorination of salt water pools. A modern pool management system allows you to remote control various other aspects of the pool system, such as filtration, chemical balancing, lights and temperature among others without having to set foot on your backyard or in your pool. Leading providers of smart pools work with automated pool systems that are easily integrated with the latest smart home systems. At first glance, smart pool systems and the whole concept of Internet of Things (IoT) on which automated pool systems are based might appear confusing. The good news is that, in this article, we take a close look at smart pool systems with the aim of improving your understanding so that you can make an informed decision when seeking a provider to install a smart pool in your home. 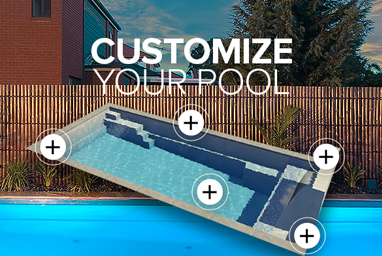 As elaborate as they may be, the main purpose of smart pool systems is to make the overall management of your pool simple and easy, regardless if you own a concrete or fibreglass pool. The primary idea is to make aspects of pool management that were once manual now programmable so that they can be done with the touch of a button, thereby freeing you up from the time-consuming task of manual pool management tasks. In addition to making these pool management tasks easily programmable and manageable, smart pool systems also give you the ability to control a variety of pool devices regardless of your geographical location. That means that you can control your pool even while traveling on a business trip or vacation halfway around the world. This is made possible through wireless base stations and remote controls. Every device and piece of equipment used in the management of your smart pool and spa is operated, programmed and powered by a central power center and control panel. A basic example of a control panel is the pool timer that is used to operate the pump. On a more advanced level, smart pool providers offer advanced control panels that manage up to 50 devices involved in the management of a smart pool. Needless to say, the cost of the smart pool system rises with the complexity of the pool management system and the number of devices and equipment operated by the control panel. When smart pool systems were still relatively new, all the programming and operations of the system had to be done at a central control panel that was typically located in a physical location in your home. However, thanks to ever-evolving technology, you can now have the entire control panel available in your hand through an app, allowing you to remotely control nearly every aspect of your pool management system as long as you are connected to the internet. This comes with a number of benefits. For example, just before you leave work for home, you can remotely turn on the heater in your smart pool in case you are planning to have a warm swim. Or in case you’re already in bed and realize you hadn’t switched off the pool lights, you can switch them off on your app. If all physical and virtual aspects of your smart pool management system were in a team, the remote pool management system would be the captain. It’s where all the magic happens. Every device and piece of equipment that is plugged into the system is controlled by the push of a button on the remote pool management system, which you can have on your smartphone, tablet or PC in the form of a downloaded app/software or a web-based control panel. If you’re thinking of installing a smart pool in your residence, it is imperative that you get one of the leading providers of smart pools to do it because they use up-to-date software and equipment that are compatible with other essential aspects of your smart home system, such as the Amazon Echo or Google Home. You risk losing your investment when you use smart pool system providers who don’t use up-to-date systems because their devices and software may not be compatible with your smartphone. A smart pool system provider should have an app for both Android and iOS devices. The software used should be highly intuitive so that it’s easy to use even for people who are not necessarily tech-savvy. Furthermore, the software should be easily and conveniently updated via online or via a wireless USB and these updates should be available for free. In other words, when installing a smart pool, make sure that the technology that is used to run it is future-proof to ensure that you can use for years to come without having to replace the entire system. Technological advancements have made it increasingly easy for smart pool system providers to install the swimming pools and all the accompanying technology in your home. Perhaps you installed a pool in your home years ago and you’re wondering whether you can transform your old pool into a smart pool. The good news is that you can. You need not replace your entire pool. Well-established providers of smart pool systems can install nearly all the essential devices and equipment in your existing pool, transforming an old pool that demanded tedious manual management into a modern high-tech automated pool that’s as easy to remotely operate as any modern pool system. Automated energy-efficient efficient pool pumps are a must-have in every modern pool management system because, in addition to the convenience of operating your pool pump remotely, it also performs better while demanding less energy, thereby helping you make savings on your utility bill. Not many years ago, pool pumps that were considered energy-efficient required power consumption of up to 1600-2000 watts. A modern smart pump consumes up to 85 percent less energy, meaning that your swimming pool pump now offers a bigger opportunity for power savings that your home’s air conditioning system. It’s a well-known fact that the more water moves, the healthier it is. Unfortunately, the rising cost of energy today has forced many pool owners to drastically minimize on the amount of time their pool pumps operate on a daily basis. In fact, some pool owners have gone as far as reducing the operating time of their pool pumps to a mere 4-8 hours daily. While this helps them to save on the cost of power, it destroys the quality of the water because stagnant water serves as a breeding ground for all sorts of harmful algae and bacteria, which creates a high demand for chemical cleansing. Smart energy-efficient pool pumps can run for longer periods than traditional pumps while consuming less energy. For the best quality of pool water, some owners have invested in top-quality smart pool pumps that can affordably run for 24 hours. When it comes to pool cleaning, automatic in-floor pool cleaning systems are the most effective because of the efficiency with which they circulate the water in a way that saves on the use of power and chemicals. These smart pool cleaning systems are built right into the structure of your pool and spa, with the nozzles strategically positioned near or on the floors, benches, steps and spas. They sequentially pop up and shoot a stream of water that pushes debris towards the drain on the pool floor. When the process of cleaning is complete and the nozzles are not in use, they disappear back into the floor of the pool and become practically invisible. You need not worry about the ugly sight of vacuum hoses floating on your pool thereafter. This is in contrast to traditional pool cleaning systems that rely on a cleaning mechanism that pushes the water on the surface of the pool toward a skimmer. In turn, the skimmer passes the water through a filter and then toward a pump that then directs the water back into the pool via a return jet. It may as though be expected that this cleaning system circulates the water in the pool after several hours. However, in reality, all it achieves is repeatedly circulating the volume of water in the top one-third or so of the pool, leaving the water below this area unprocessed. When looking for a pool builder, it is advisable to identify one that uses an automatic in-floor pool cleaning system which ensures that the heat in your swimming and the anti-bacterial chemicals are spread evenly throughout your pool. In addition to the effectiveness of self-cleaning pools, the second advantage of an automatic in-floor pool cleaning is that it does not require the use of additional pool cleaning equipment once the installation of your pool is complete. This self-cleaning system eliminates the need to manually cleaning your pool, which frees you up to actually enjoy the pool that you have invested in. The third benefit of having leading pool builders install top-quality automatic in-floor pool cleaning systems is that they use up-to-date technology that is designed to save on the consumption of energy and chemicals. The highly efficient circulation of water in your pool achieved by automatic in-floor cleaning systems ensures that the anti-microbial chemicals are not quickly dissipated by the sun and that the heat on the surface is not dissipated by the wind. An automated salt chlorination system ensures that your pool continuously maintains the desired level of chlorine in your pool. Like the other aspects of smart pool management systems outlined above, intelligent salt chlorinators offers pool owners the convenience of a remote digital system that can be configured to your unique requirements. This self-cleaning ability practically eliminates the need for manual chlorine level management, freeing you up to enjoy your pool. 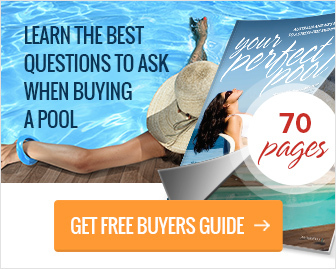 You can stop worrying about time-consuming tests on your pool water and daunting trips to the pool shop. Intelligent salt chlorination systems periodically test the pH level of your pool after a specified number of hours. Based on the results of these tests, the system delivers the precise amount of chlorine into your pool to ensure the water is as clean and healthy as possible, even when the pool is covered. 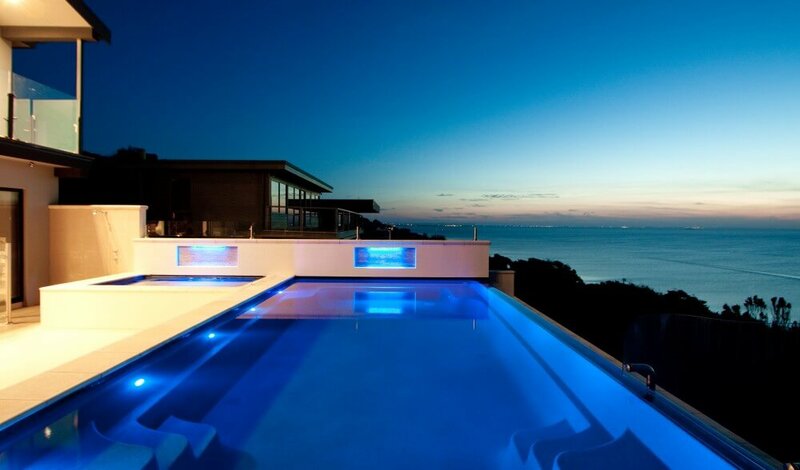 People are looking for intelligent pools more an more these days. These intelligent control systems can be installed with any of our swimming pool shapes, whether built as inground pools, pools above ground or beautiful infinity pools. In many cases, installation of traditional pools can diminish the value of your property because prospective home buyers will take into account the effort and cost of maintaining the pool. This is not the case with modern smart pools because the automated systems built into them reduce the time and money that pool owners need to spend on maintenance. Oftentimes, real estate agents find it relatively easy to sell homes that have smart pools because they can sell prospective buyers on the advantage of having a pool that they can only without having to worry about breaking the utility bill. Therefore, if you’re thinking about building a pool on your property, one of the considerations you should make is whether or not you plan to sell the property in the future. If so, whether it is a lap pool or a plunge pool, you should consider building a smart pool that positively affects your property value, rather than lowering it as traditional pools tend to do.